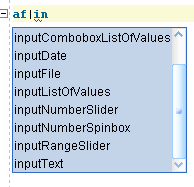 Skinning in ADF Faces is used to define user defined customizations with respect to one of the standard ADF skins. A skin is by and large a CSS document (CSS 3.0) that is interpreted at run time to generate the ‘real’ CSS documents (3.0 if that is what the browser can handle, 2.0 in most current cases) that will be sent to the browser. The real CSS document is influenced primarily by the server side Skin CSS (CSS 3.0 is converted to 2.0 if that is required) and also by factors like: browser (IE, Firefox, Safari, something else), version (5.5, 6.0, 7.0, 8.0; 2.x, 3.x;…), operating system, locale, etc. The skin is created as an extension of one of three standard skins shipped with ADF Faces. Let us discuss an example of these characteristics of skinning I was not aware of – and had explained to me last week at ODTUG by Maiko and George. 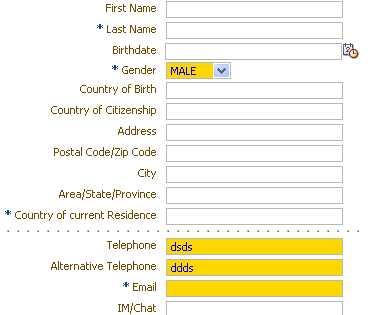 The objective: I would like to have some of the inputText fields in my form to use blue for the text color. 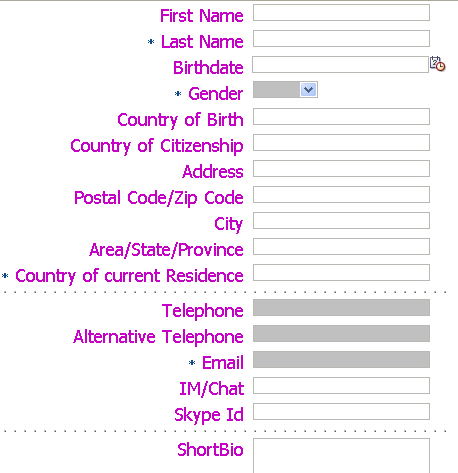 Then I would like to have purple as the color for all the labels in a specific form. Let us first create custom skin and configure it in the application; later on we can add special style definitions to this skin. 1. create a new file; call it CustomSkin.css, save it to public_html\skins\custom. 3. Create a new file in WEB-INF: trinidad-config.xml; note: most likely it already exists, and you only need to edit the file. This lines makes sure that the custom skin – empty as it is at this point – is used as starting point for skinning/styling the application. 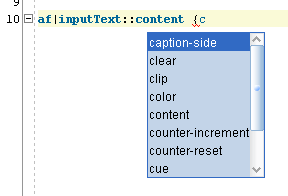 when we now enter a value in one of the inputText components, the text is shown in blue. 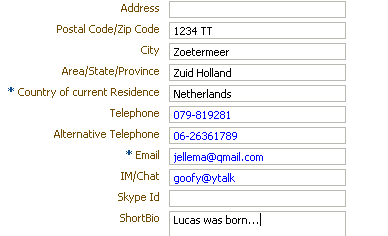 You could try other style changes as well (alignment, backgroundcolor, background image, border etc.). 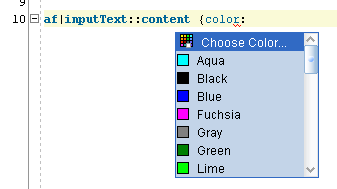 However, we realize we do not want to have all inputText component have a blue background: it should only apply to selected components that represent contact and communication related information. There is no automated way to identify such components, the developer will have to make it clear which components qualify. 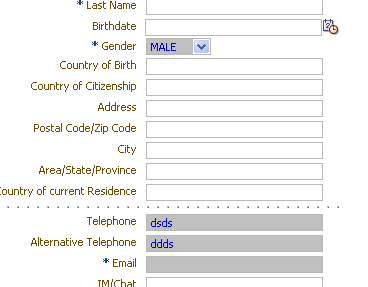 He or she will do so using a styleclass. 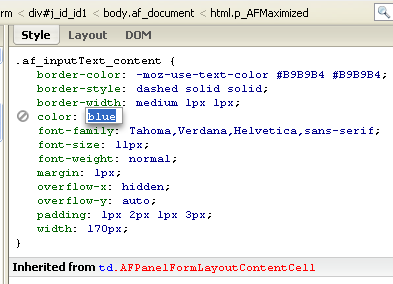 When we next run the page, not all inputText items have the blue color style applied, only the ones that were marked as communication fields by the developer. 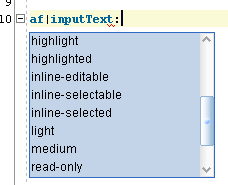 Note that we have only changed the color for inputText items. Suppose that we want to define a common styling for various types of input components. What we can do is define a custom alias, define the desired CSS styling characteristics to this alias and then include the alias in the component styles that require it. 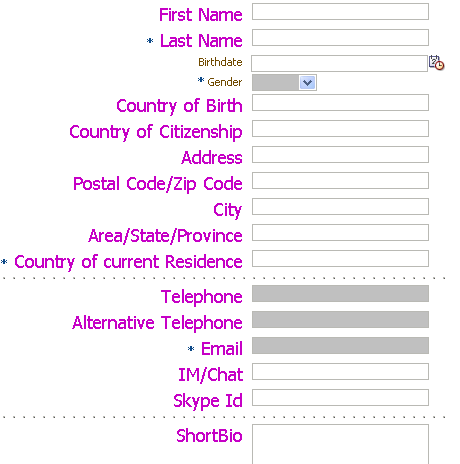 Suppose I would like to style all the labels in a form – do I have to label each one of them with a special styleClass? Fortunately, that is not necessary. We can specify a (marker) styleclass at the panelFormLayout, specify a skin style selector for the input component within the panelFormLayout and specify the style for the labels of those input components. 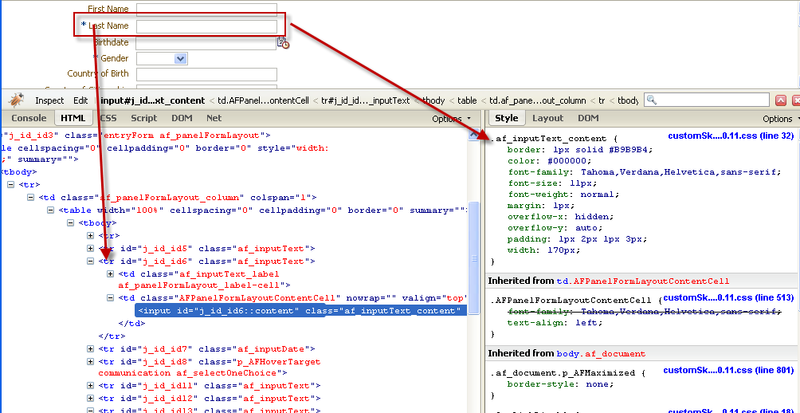 JDeveloper 11g Application with sources for this article: SkinWithStyleClassSelectorDemo.zip. ADF 11g – Why use skinning? Why not use simple external CSS stylesheets? You are very helpful in the study of the Oracle ADF! Thank You very much! Hi from Russia. Nice article. Can you share how to create skinning Style for common component , similar to ADF skin Editor creates,Â how to create usingÂ jdeveloper 11.1.1.5.0?